If you’re wondering where Kyle Richards‘ Real Housewives of Beverly Hills blogs have been the past few weeks, aside from the fact that she admitted she hates writing them, she’s way too busy right now! 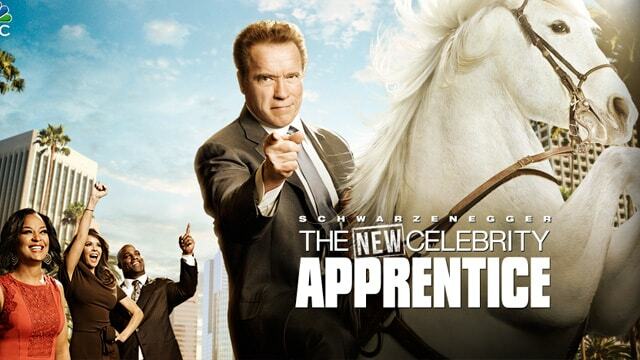 Kyle has been working hard as she films the new season of Celebrity Apprentice. No, Kyle didn’t join a totally posh Beverly Hills biker gang that travels around doing photoshoots on the side of the road. Although stranger things have happened, Kyle was spotted hanging with her CA co-stars Laila Ali, Brooke Burke and Lisa Leslie over the weekend as she filmed the upcoming season – which is now being shot in sunny California. Kyle was seen striking a pose with a motorcycle, showing off her best biker biker gear. Of course, in true Kyle fashion, she couldn’t stay serious for too long… See the fun pics below. Holly Madison likely made the nice list as she and Santa strike a pose at the Hollywood Christmas Parade – and more – in our all new reality star sightings roundup. Melissa Gorga was seen leaving her new boutique, Envy by Melissa Gorga, which will be featured on the new season of Real Housewives of New Jersey. Lisa Vanderpump ran errands with husband Ken Todd, La La Anthony hit the red carpet with husband Carmelo, and Padma Lakshmi showed off what her dress can do. Hot Pic Roundup – The Stars of Real Housewives of New York, Vanderpump Rules And Many More! The cameras caught our favorite reality stars out and about on both coasts this week/weekend. Ramona Singer, Sheila Rosenblum, and Dorinda Medley attended the Sheila Rosenblum Resident Magazine Cover Party at Soho Contemporary Art Gallery. Earlier in the week, Sonja Morgan celebrated her 25A Magazine cover at Beautique in NYC. Real Housewives of Beverly Hills star Camille Grammer stopped by to say hi as Andy Cohen signed copies of his book at The Grove in L.A.